Rav Weinberger is a noted speaker who draws upon a vast array of sources in his shiurim. The diverse currents of the Maharal, Ramchal, Ba'al Shem Tov, Vilna Gaon, Rav Tzadok HaKohen, Rebbe Nachman, The Ba'al HaTanya and others merge within him and are transmitted to countless Jews of all backgrounds thirsting for knowledge, inspiration and guidance. Rav Weinberger has also been intimately involved in Jewish education and outreach for almost thirty years. He has developed a library of more than 2,500 MP3 downloads on Tefilah, Chassidus, Hashkafah, Rav Kook's Oros Hateshuvah, and the Aish Kodesh's sforim, among others, that are listened to by men and women, young and not quite so young, all over the world. 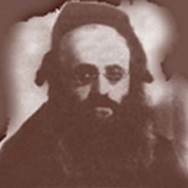 Rav Moshe Weinberger chose the name Aish Kodesh for his shul to honor the memory of the holy Rebbe of Piazeczna, Harav Kalonymous Kalman Shapiro, zt"l, who wrote the inspirational sefer, "Aish Kodesh" during his all too brief tenure as the Rebbe of the Warsaw Ghetto. Shortly before he was murdered by the Nazis and the Ghetto was liquidated, the Rebbe buried his writings beneath the Ghetto's ruins with the hopeful plea that, after the war, the manuscript be taken to Eretz Yisrael. Rav Weinberger strives to carry on the work of a generation whose lives were extinguished, but whose holy flame will never die.